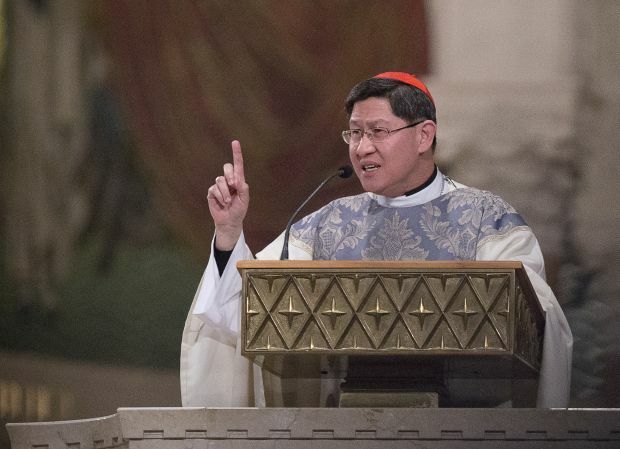 MANILA, Philippines (CNS) — Cardinal Luis Antonio Tagle of Manila said the Synod of Bishops on the family was more than a series of discussions on divorce and gay unions and that the impact of poverty on families, especially in Asia, was a major concern of participants. “Poverty is really affecting the Filipino family in a dramatic way,” Cardinal Tagle told reporters at an Oct. 30 news conference. The Philippines is among the world’s top countries that sends workers overseas. 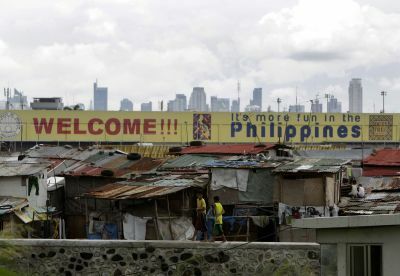 More than 9 million Filipinos, about 10 percent of the Philippines population, live overseas and about half of them migrated for work, the government has reported. Cardinal Tagle said migration was a major concern in synod discussions. The bishops also credited grandparents and extended family members for their roles in raising children because of the economic stresses placed on nuclear families. Cardinal Tagle also reported on preparations for Pope Francis’ planned January visit to the Philippines. He said officials from the Vatican planned to visit in November to check on arrangements and that specific details of the trip would be released at the end of November of early December. Cardinal Tagle also said the Philippine government is “very concerned” about security for Pope Francis during his Jan. 15-19 stay. The cardinal said the pope “deserves” the effort under way by the government and the military for his safety. In September the Islamic State militant group that has occupied much of Syria and Iraq said it would target the pope, possibly during one of his overseas visits. In 1970, an attempt was made on Blessed Paul VI’s life during a visit to the Philippines. And in 1995, authorities uncovered a plot by al-Qaida members to assassinate St. John Paul II on his visit to the nation.